“The Release” is an Entertainment Program featured on Hype TV and Sun City Radio every Tuesday at 8:30 PM, with repeats on Thursday and Saturday at 6:30 PM. Hosted by Talisa Taylor, the program features some of the newest entertainment releases and upcoming events. In this week’s episode we caught up with Wayne Wonder and Fabian on their careers and upcoming projects, Sun City Radio’s “Divas In Reggae” week with Shuga, highlights from Sun City’s High School Disc Jock Competition, music picks of the week and more! If you want to check out seasons 1 and 2, and previous releases, look here. To get your releases featured, please email thereleaseent@gmail.com and tell them 13thStreetPromotions sent you. Check out the latest releases below and share your thoughts in the comments section. Fresh off his successful performance at Usain Bolt’s Tracks & Records, Wayne Wonder hopped onto the Onstage set to have a chat with Winford Williams. Here he spoke about his success over the years, his “No Letting Go” single from 2003, his experiences as mainstream artist, advice for the young artists, his plans for the future, and his album “My Way“. Good interview, always great to see top artists giving the public giving insights on the mechanics of their careers. It’s never easy but it can be fruitful once done properly. Check out the video below and share your thoughts in the comments section. Also on the list for this friday’s entertainment is DJ Fusion’s entry. Titled “90’s Dancehall Dashout BB Mix” and as the name suggests, do watch out for ladies going wild on the spot. Featuring some of the best songs from Mad Cobra, Buju Banton, Capelton, Beenie Man, Shabba Ranks and many others. 23 minutes of memories, music and madness. Check out the SoundCloud below or download and share your thoughts in the comments section. 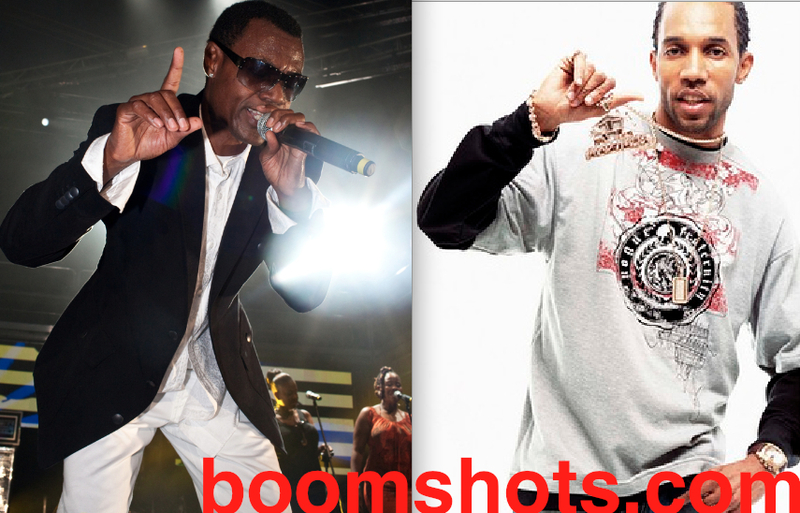 Today’s 25DaysOfChristmas entry comes from two veteran Dancehall artists, Wayne Wonder and Cham. Titled “Warm Jamaican Christmas Time” and produced by MadHouse Records, this has been a favourite when the season arrives. It has been forever since these two have made any songs together though. Check out the song below and share your thoughts in the comments section.